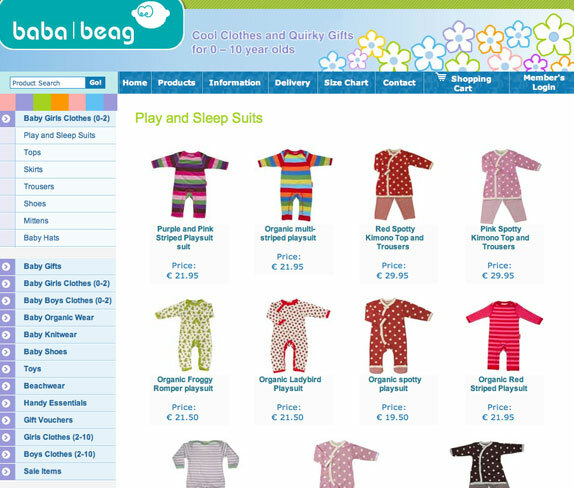 Baba Beag is one of Irelands leading Online Retailers for Baby and Children’s Clothes, Gifts and Toys. 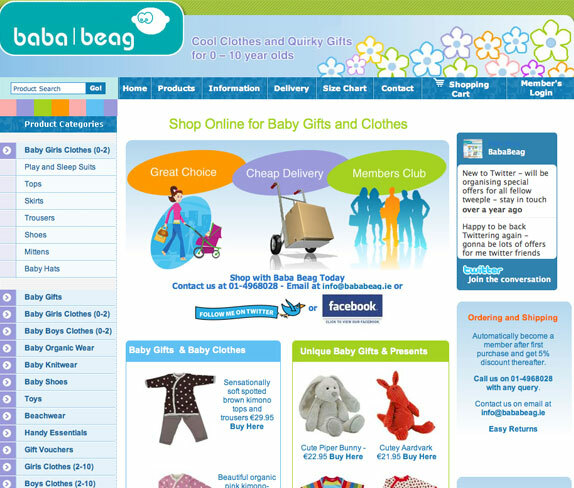 Project objectives: Baba Beag required an eCommcerce website that was fresh, visually engaging, intuitive to use and optimised for conversions. 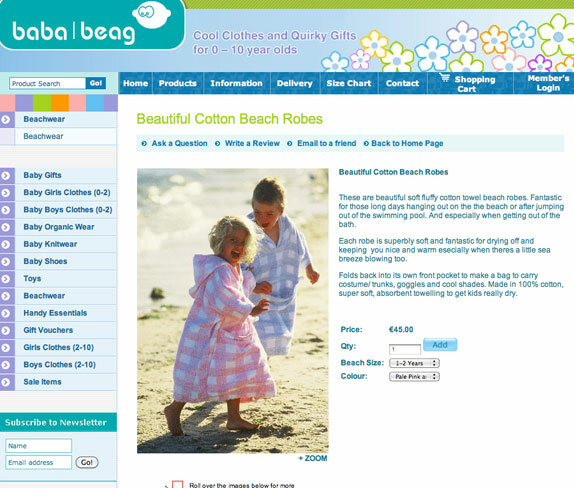 The site design resonates strongly with the core target audience, it acts as an excellent platform to display the beautiful products, and has generated over 45,000 customers. The site has been optimised for Search Engine Traffic, and Digital Insights also ran a highly focused PPC programme leveraging more than 30 individual campaigns and over 500 Ad Groups with 1000 different Ad Copies. The campaign had an average click through rate of more than 6%, way in excess of the average Google PPC CTR of 1-2%. We have also developed an eMail Marketing Database of over 20,000 opt-in subscribers and manage a bi-weekly eNewsletter campaign using an enterprise Email Service Provider.